Engineers in Action (EIA) announced today its first Ecuador project site will be in the community of Comuna Guangaje, located south of Quito. The organization had previously announced its expansion in late 2016. “We had high hopes of strategically expanding our impact into Ecuador in 2017, and I’m happy to see this accomplished within the first month of the year,” said Rod Beadle, executive director of Engineers in Action. 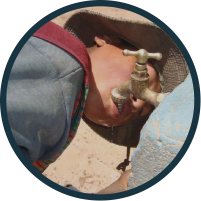 The Indianapolis Professional Chapter of Engineers Without Borders-USA will partner on the project to provide the community with a long-term solution to water access issues effecting local health and prosperity. Engineers in Action works in communities like Comuna Guangaje to identify priority needs that will positively impact their quality of life, their health and their individual capacity. Engineers in Action starts by meeting directly with a community to listen to their needs, then works to raise the funds and identify partners to support the project’s implementation. EIA handles every element of getting supplies, planning timelines, setting travel logistics and preparing the community for project implementation, which includes hands-on training for the community members that will be taking care of the new system once it’s installed. Engineers in Action (EIA) is a 501c3 with offices in Chicago, Illi. ; La Paz, Bolivia; Madison, Wisc. ; Quito, Ecuador; and Tulsa, Okla. 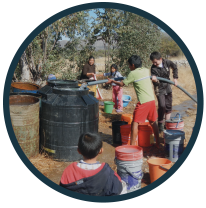 Founded in 2009, the international organization works in rural, impoverished communities in Latin America to provide access to basic needs such as water and sanitation with an overarching goal to improve the lives of people in need and increase local capacity in the communities they reach while encouraging global awareness in program volunteers and participants. EIA has a significant focus on long-term impact, achieved by building real relationships with indigenous individuals and communitieis with a partnership attitude, which ensures the money and effort spent on implementation have minimal negative effects, are embraced by the community individuals and are there for many years to come. Learn more at engineersinaction.org. Request Executive Director Rod Beadle for a speaking engagement by emailing Amanda.mcconnell@engineersinaction.org.